BOGO Boba all day at the Cat. Join us in celebrating National Star Wars Day. Free bowl for fully outfitted Jedis. 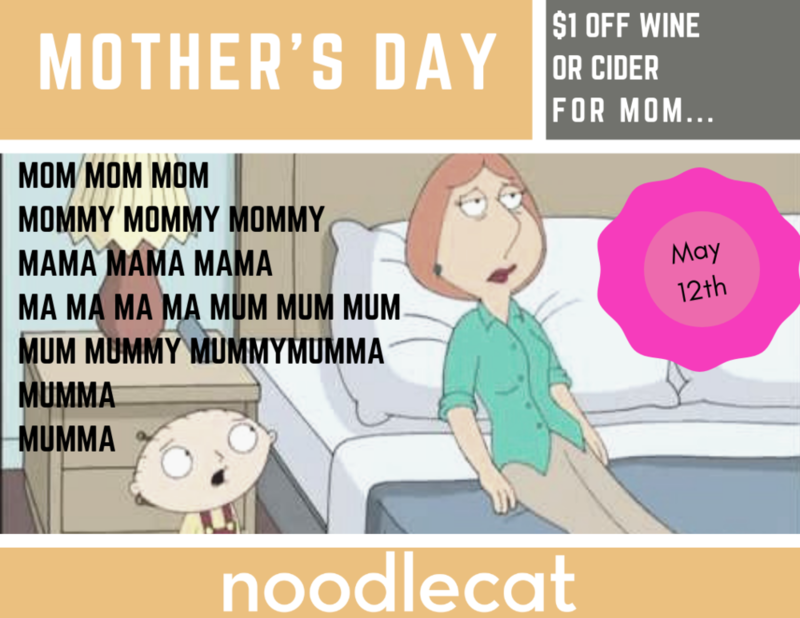 Celebrate the lady that raised you and treat her to $1 off wines and ciders all day at Noodlecat. 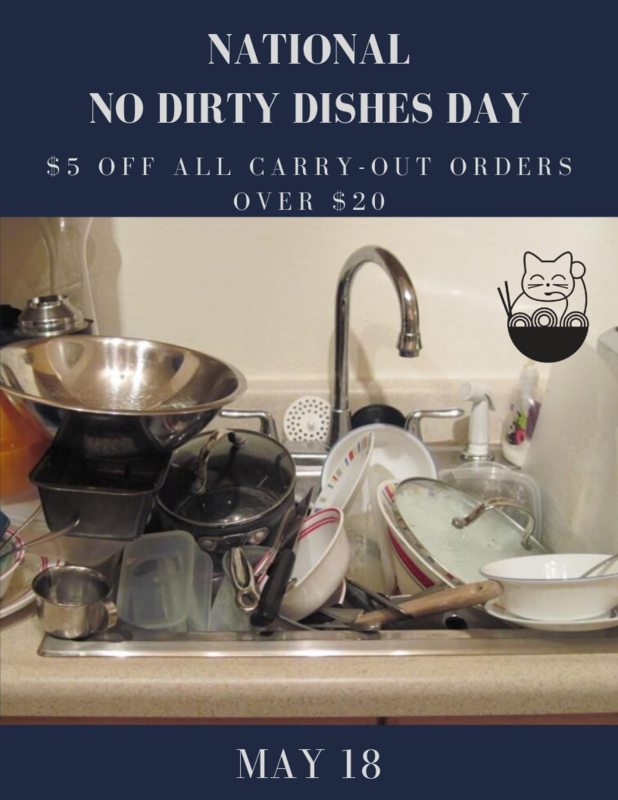 leave the dishes to us. get $5 off any takeout order of $20 or more. What a fine day… National Wine Day. Ponder it with a free egg on any bowl. All day. Enjoy them together on this most exquisite dual holiday. Bring him in and buy him a Hangover bowl for half price. If you find yourself feeling extra HIGH on life, ROLL on into our JOINT for some serious MUNCHIES at the Cat. 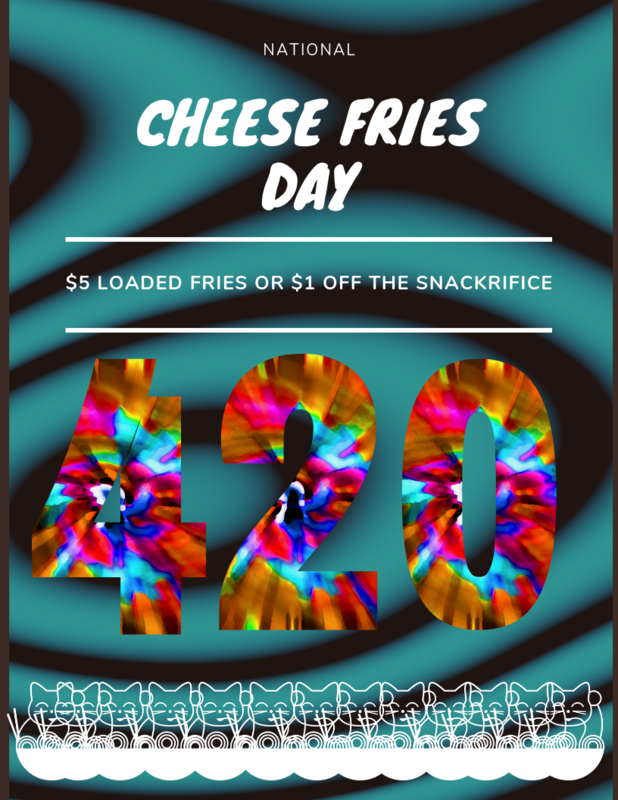 $5 Loaded Fries or $1 off The Snackrifice. Thank you Ancient Sumerians! 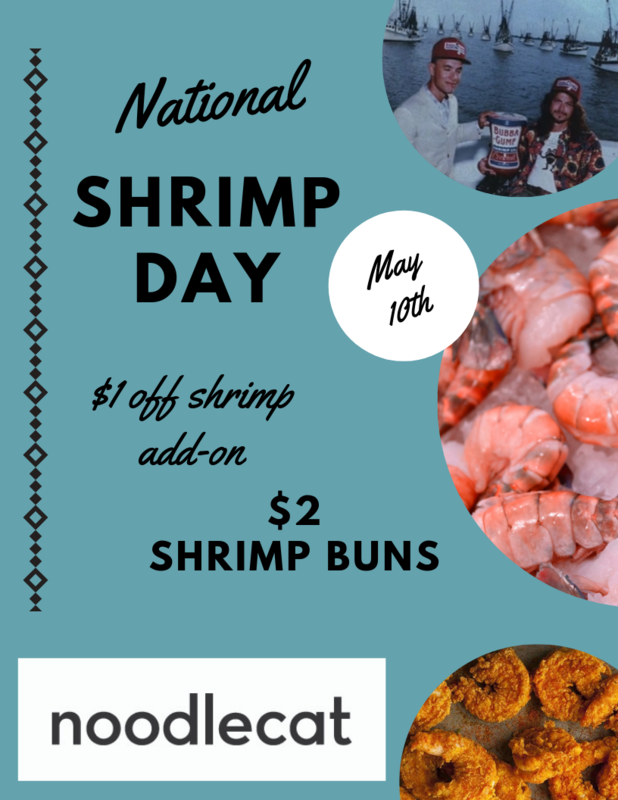 Come get $1 off all beer and honor National Beer Day. The day and night are equal. Birds are chirping and flowers are blooming. Or there’s 10 feet of snow on the ground because this is Cleveland. 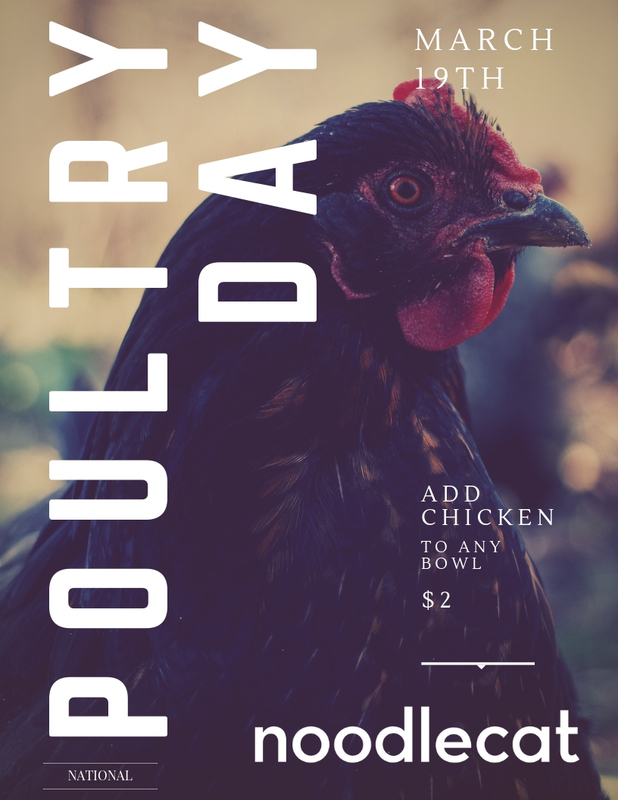 Either way, come and celebrate the arrival of Spring with a free egg or some fresh veggies on any bowl. Everyone is Irish on March 17th! Come enjoy our version of Corned Beef and Cabbage! Calling all Girl Scouts & Adventure Princesses! 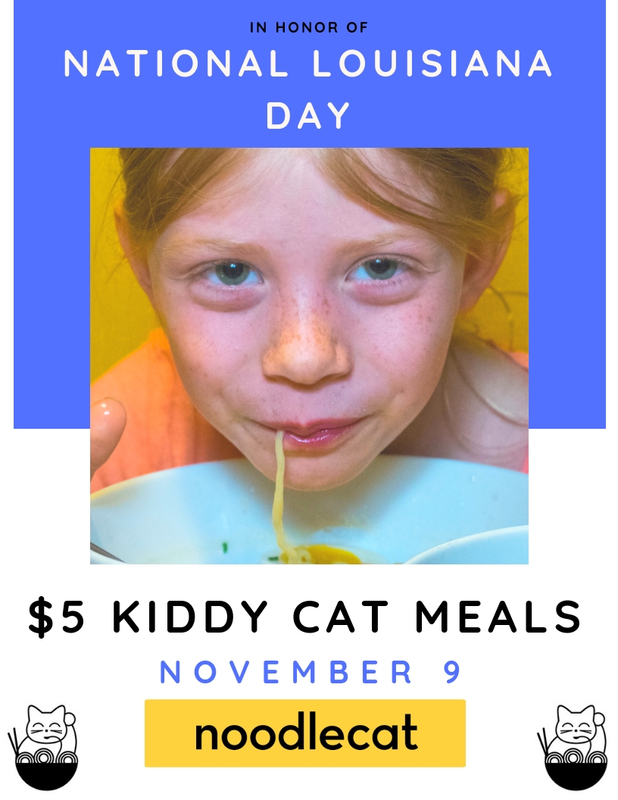 Come to Noodlecat in your uniform and pick either a $5 Kitty Cat meals (for the little ladies) or half-off Boba (for our older scouts). Mardi Gras. Fat Tuesday. Carnival. Call it what you want, but don’t be like this guy. Buy One, Get One Free Bowls. All Day. 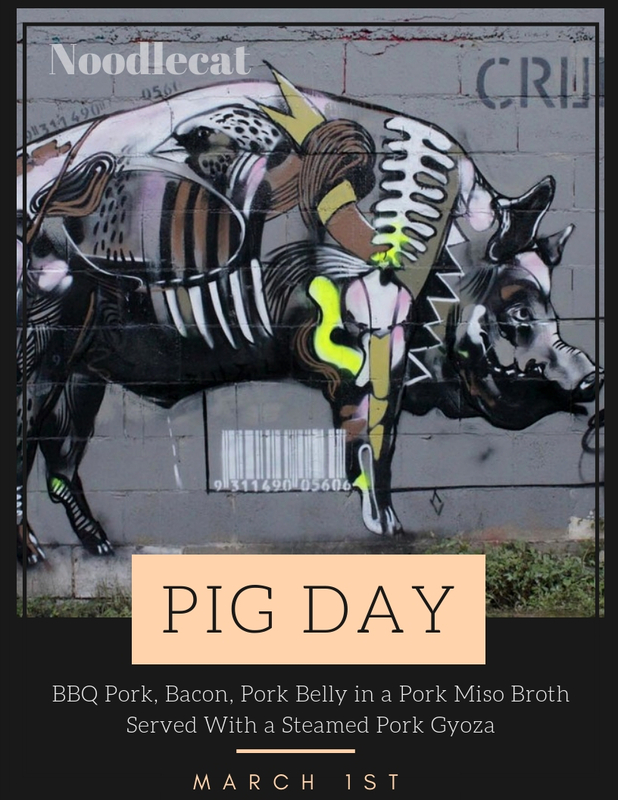 Pay homage to the majestic pig with our Big Pig bowl: BBQ pulled pork, braised pork belly and bacon in a pork miso broth. Served on your choice of base and garnished with a pork gyoza. Ditch the carbs and be rewarded. 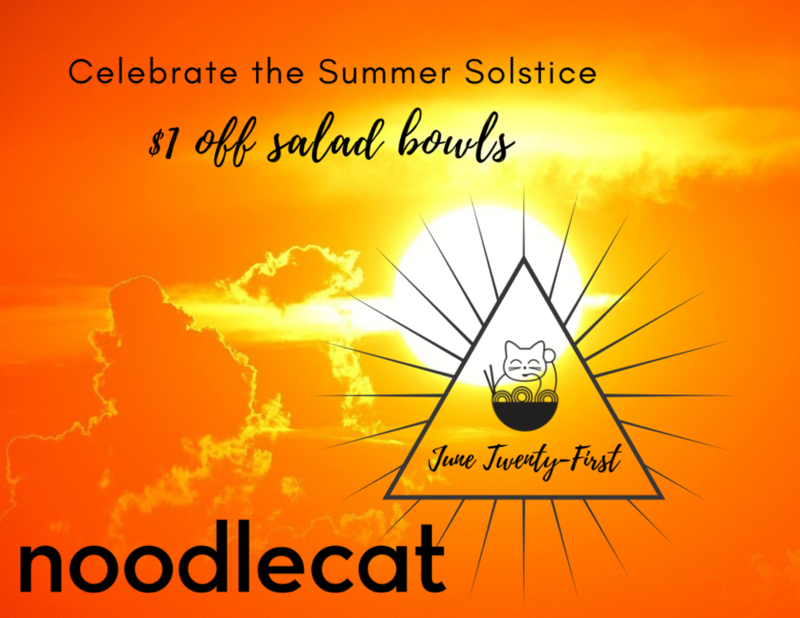 $1 off all bowls served over greens. Celebrate this very important holiday with $1 off our (surprisingly good) wine cans! Nothing says “I Love You” like Noodlecat. Treat your Valentine to our 2 for $25 V-Day Special! Take delicious Noodlecat to your Superbowl party. Buy one, get one half-off bowls when you carry-out. All day Superbowl Sunday. Come appreciate our selection of Hoof Hearted beers and get $1 off! Come nurse your hangover with one of ours. 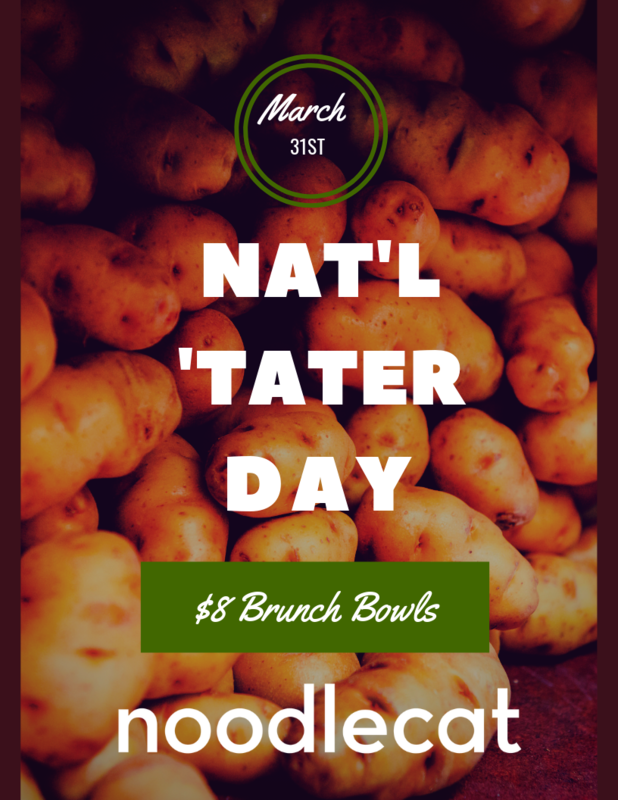 $10 Hangover bowls all day. We’ll be here noon-6pm. Come in a full ninja costume, get a FREE bowl!!! Fritter and waste the hours in an offhand way… here at Noodlecat! 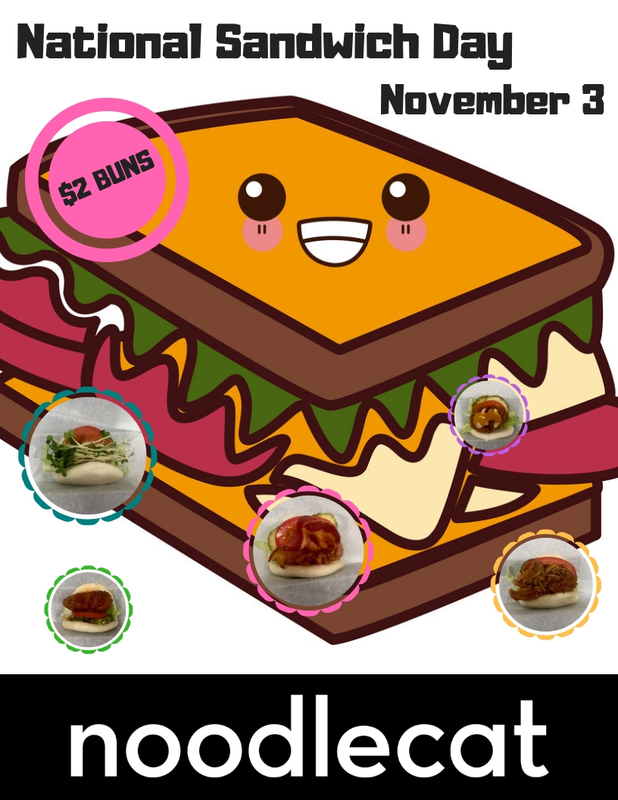 Come support the mom & pop shops! 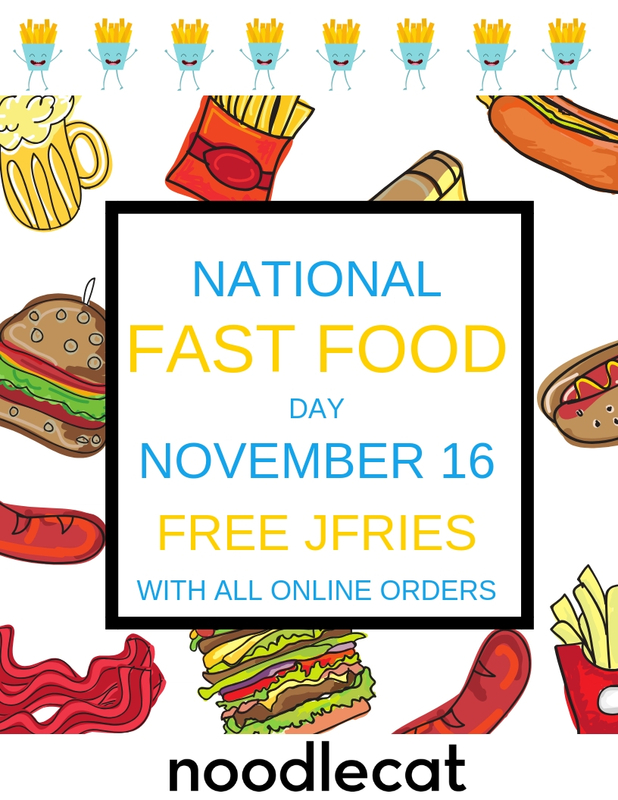 Order online & we’ll throw in a free order of jFries! 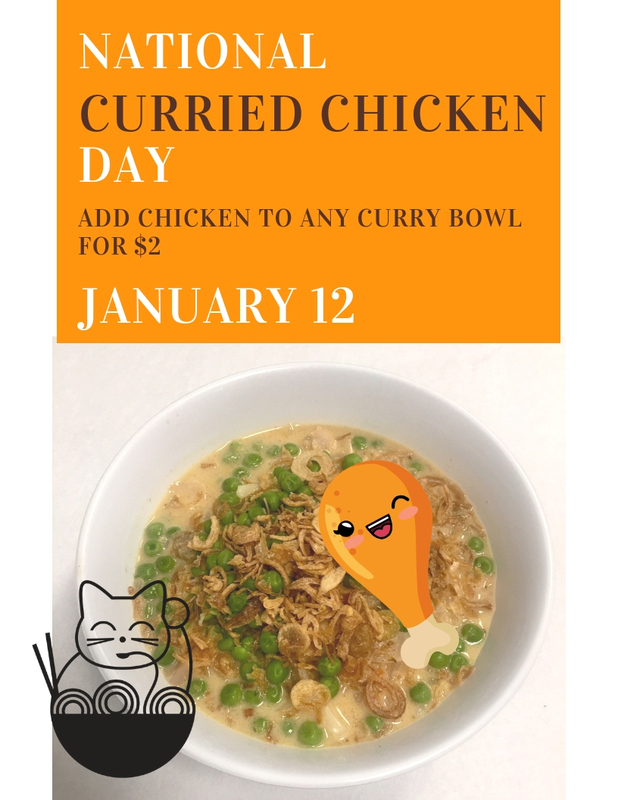 Join Noodlecat in celebrating our 1st Birthday at Crocker Park! Prize Drawings all day! 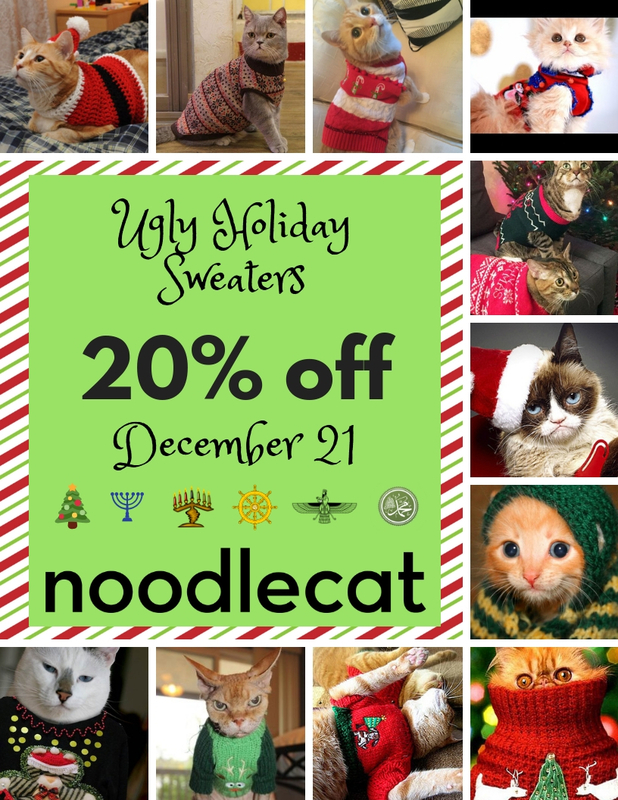 Come in for your chance to win Noodlecat merch, books and more! Old-school cocktail & and throwback bowls! Buckeye Bowl: ramen, greens, kpops & peanuts. If you love America, come drink beer!